The Garden quilt by Josephine Hunter Craig of Emporia, Kansas. 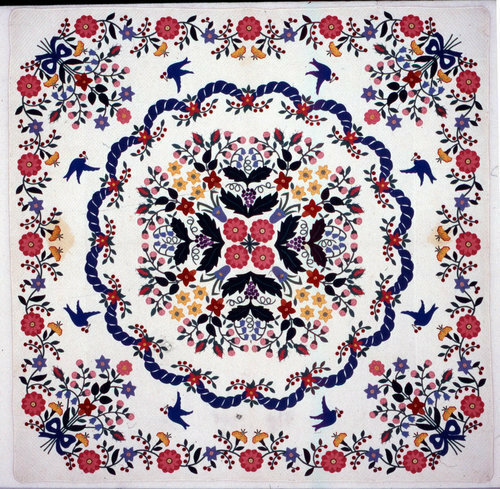 Craig was an expert quilt maker in a community of outstanding quilters in the second quarter of the 20th century. A number of Emporia women created garden medallion quilts; this is Craig's award-winning version. The cotton quilt measures about 86 inches by 85 inches. It was named one of the twentieth century's best American quilts by a panel of judges appointed by the International Quilt Festival.